Can the TRID 3-day rule possibly delay your closing? One of the regulations associated with the new TRID forms is a 3-day rule. The 3-Day rule mandates borrowers MUST receive the Closing Disclosure 3-days before the closing date. 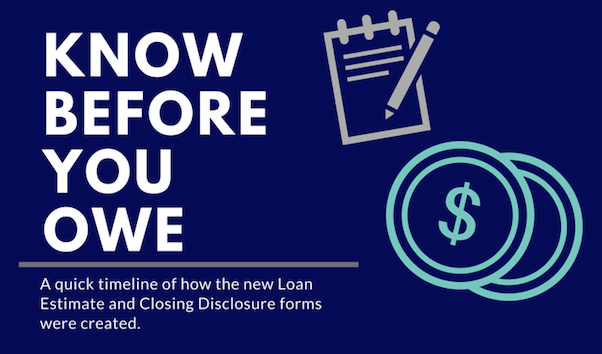 This new rule gives consumers the opportunity to review the closing disclosure and ensure all information is correct and correlates with the Loan Estimate. However, what happens if any changes need to be made? The infograph below explains three situations that would require a new closing disclosure and thus, delay your closing. The new TILA-RESPA Integrated Closing Disclosure forms go live on Oct. 3 and will be a game changer for your business. However, do you know how the CFPB came up with TRID? We’ve got an early timeline of the process testing used to develop the new forms. Page 4 of your Closing Disclosure is important. It is NOT just standardized form information that is identical for every loan. Assumption: can this loan be transferred to another person if you sell or transfer the property? Demand: can the lender require early repayment of the loan? Late Payments: what penalty, after what period, applies? Negative Amortization: does this loan schedule or allow payments that do NOT fully cover the interest due, resulting in increased loan principal? Partial Payments: what is THIS lender’s policy? You should also review Escrow Account details to understand whether you will pay additional property costs via regular Escrow Account payments or handle them yourself directly. Page 2 of your Closing Disclosure details specific closing costs. Section A includes: Origination charges collected by the lender Origination fees paid to brokers, loan officers or other parties and Discount Points – prepaid interest. These figures should match your original Loan Estimate. Section B covers services for which you could NOT shop. The total of these should be within 10% of the total from your Loan Estimate. Section C covers services you could shop. If you chose providers from the lender’s written list, costs should be within 10% of Loan Estimate. The set of services you can shop may vary on different loans. The Recording Fees in Section E should be within 10%; other costs in E, plus F, G and H, may vary from your Loan Estimate without tolerance limits. This page will also break out the costs YOU will pay, before or at closing; the costs the Seller will pay, any costs paid by others and any credits from your Lender. If this loan has a penalty for pre-payment or includes a balloon payment Page 1 will summarize the terms. Projected Payments will show the chief cost components – Principal & Interest, Mortgage Insurance and estimates of your Escrow Payments over the life of the loan. You may see different columns for different periods if changes in terms such as mortgage insurance change payment totals. Closing Costs summarizes your loan closing expenses, and Cash To Close adds the additional amounts due to give you the cash balance you will need in 3 business days. Click here to get more information on page 2 of the Closing Disclosure. The Closing Disclosure documents the actual terms of your loan transaction. You should receive it no later than 3 business days before consummation. It must be in writing – paper or digital. If the loan terms or costs change prior to consummation, your lender must provide a corrected disclosure AND an additional 3-business-day waiting period until loan consummation. Waiving the 3-day waiting period is only permitted in certain circumstances, and only when the waiting period would cause a bona fide personal financial emergency. Page 2 of the Loan Estimate provides the current ESTIMATED cash to close. Some costs will stay the same between estimate and closing. Some will change. A – Origination Charges – should match. C – Can Shop – no tolerance limit, BUT IF you select a provider from your lender’s list their actual cost should be no more than 10% greater than the estimate. F – Prepaids, G – Initial Escrow and H – Other, such as Owner’s Title may vary from the Loan Estimate without tolerance limits. These estimates of closing costs plus loan details, Down Payment, Deposits Credits and Adjustments are used to calculate your estimated cash requirements when the loan finally closes. Consider the possible changes and tolerances when evaluating a loan decision. Real estate transactions require taxes, certain pre-payments, and escrow funding. Recording fees are charged by government agencies for keeping legal ownership records, while “transfer taxes” may be imposed by states, counties and municipalities on real estate ownership transfers. Prepayments may include homeowner’s insurance premiums on the property mortgage insurance, if required property taxes for a period of months in advance, and prepaid interest, typically for the period from closing to the first mortgage payment. Escrow funding may also be required against future annual charges for homeowners insurance, mortgage insurance and property taxes. Title insurance on YOUR legal ownership – “Owner’s Title Policy” – may be designated as optional, which only indicates that it is not required by this creditor. Copyright © 2015 Florida Agency Network. All Rights Reserved. Website by S3 Media.